I am always reminded of my childhood. Of sparklers and firecrackers. Of sitting on top of the hood of my parents car watching fireworks at the park. But most of all, I am reminded of songs. Songs of patriotism that my dad would sing. Oh he loved to have sing-a-longs in the car. One of the songs was, You’re A Grand ‘Ole Flag. and forever in peace may you wave. You’re the emblem of the land I love. Every Heart Beats True for the Red, White and Blue. 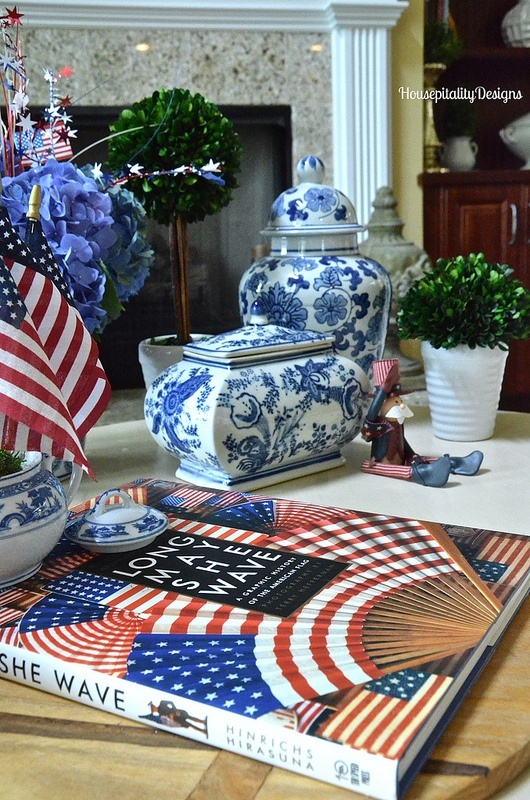 . .
of my “red, white, and blue” of the past. 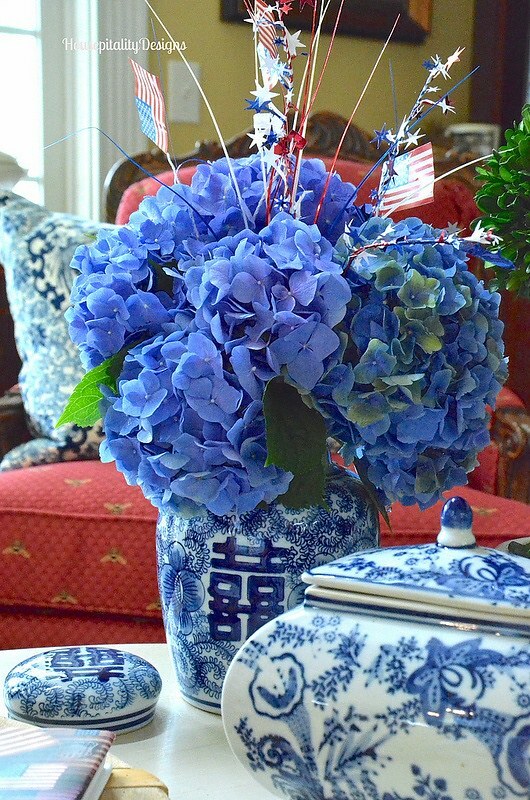 What could be better than blue hydrangeas on a table of red, white, and blue. filled with things for the after dinner festivities . . . like sparklers and noise makers. 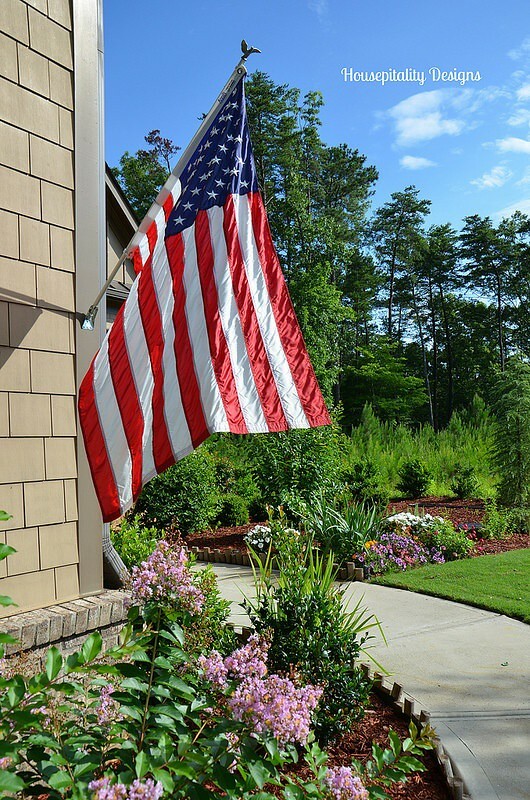 Flags in the topiaries to welcome friends and family. at the home of my brother and sister-in-law. I wish you all a most safe and wonderful 4th of July!! Happy 4th to you, too. I think we will be the stay at home ones grilling hot dogs. What a happy song to start my day. I love all the red,white and blue. 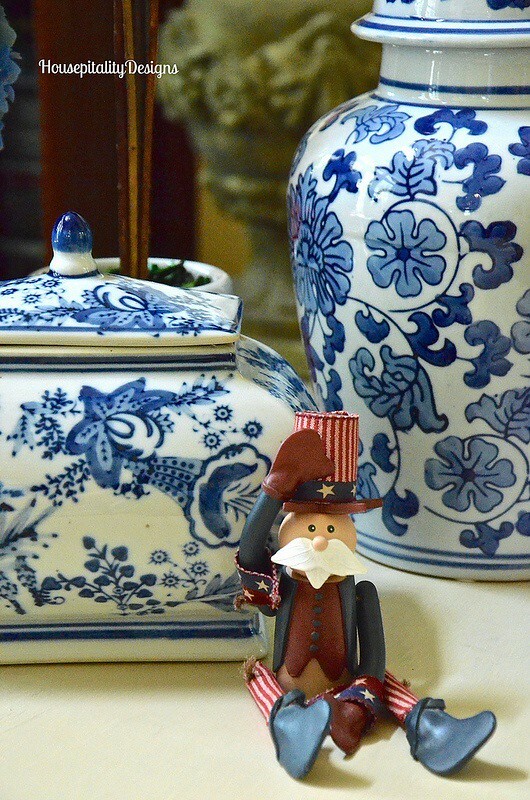 I especially love your Uncle Sam. 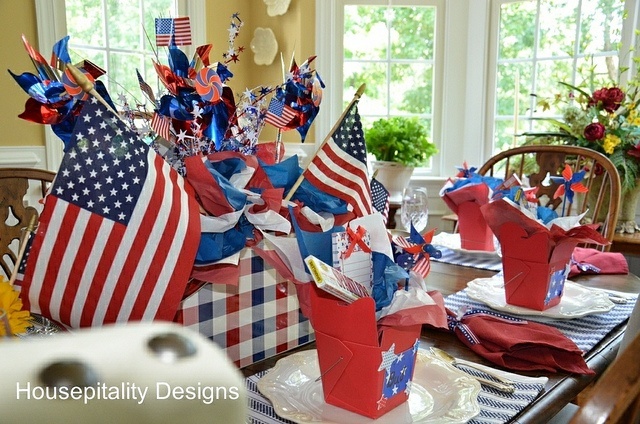 When I decorated for Memorial Day, I decided to leave everything out through the summer. Beside the fact that I love those colors there’s flag day, the 4th, and then Labor Day. Beautiful post and beautiful memories! You were blessed to have such a wonderful childhood. I am glad you have so many wonderful memories. Have a great 4th and don’t work too hard!!!! Pinky’s recent post…Nesting at the Table! What a wonderful patriotic post. Have a great 4th weekend! Hope you have a Great Holiday !!! 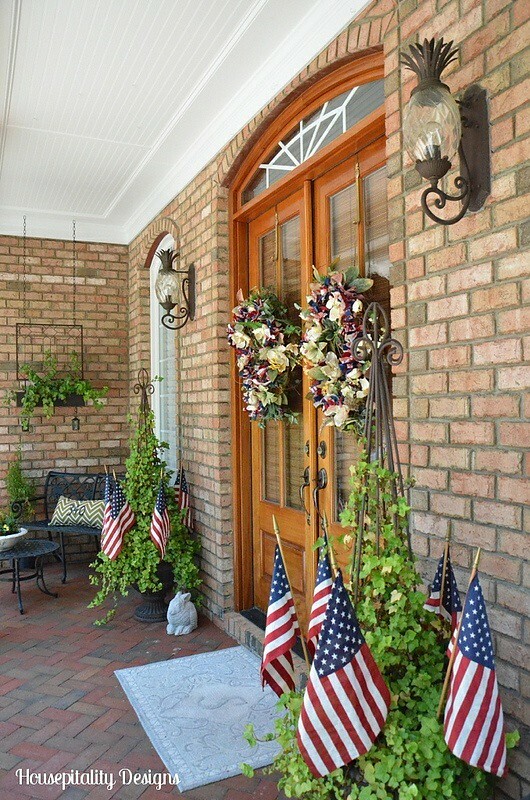 Your home looks beautiful all dressed for the 4th! Happy Independence Day! Beautiful post. Beautiful sentiments. Thank you. Happy Independence Day to all! Shirley, I loved going down memory lane with you. It truly is a grand flag and may she ever wave over the land of the free and the home of the brave! Pam Richardson’s recent post…But First, Coffee! ah….what do you mean, he is looking at your post! hope you have a nice holiday. Happy 4th of July. Enjoy and stay safe. A happy and safe holiday to you too Shirley! I wanted to stop by and let you know we decided on Wilmington NC! Excited for the move, but must sell our house first. A delightful post indeed! There will be lots of celebration in our little town, and I’m going to enjoy every minute of it. Hope the same is true for you. Great post and lovely thoughts. 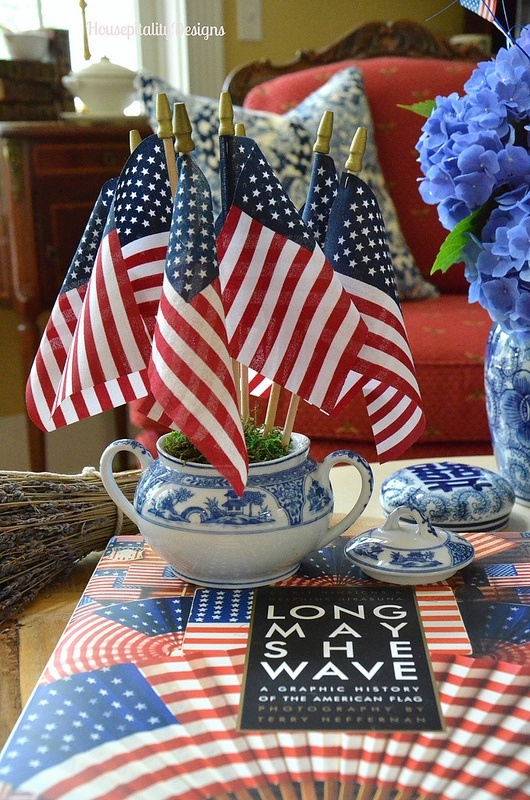 Happy 4th to you and yours ! Sandra at Maison De Jardin’s recent post…Color Your World ! Great post Shirley. Love all of your pretty festive decorations. Still not receiving your posts/ Have to go into the internet. 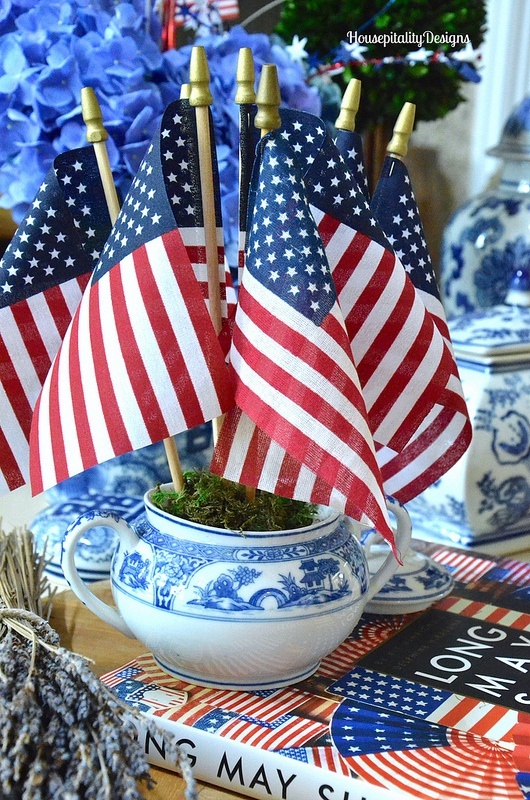 Love your red, white and blue! Hope your 4th was fantastic! I love your front porch. So nicely decorated.